3 Tips to Help With The “Back From Their Dad’s House” Haze – Enlightened Littles, Inc. If you’re a co-parent, you may have experienced the ‘they just got back from Dad’s / Mom’s house’ funk that routinely occurs when your child returns to your house after visiting their other parent. What is this odd transition phase? And what can parents do to assist their children with their parenting time transitions? I first experienced this phenomenon when my son was very young, but as he’s grown it has continued to some extent. 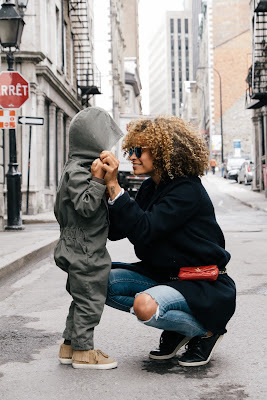 When I first began co-parenting, I was initially confused and frustrated by my son’s inability to seem ‘present’ upon returning from his father’s house. I wasn’t sure how to help ease him back into my home and how to help him through the transition. I’ve since come to realize that this transition phase is a very normal aspect of co-parenting. After all, while each parent remains in their same home environment and similar routine, the child’s experience is one of much change and upheaval. Between different family structures, house rules, and home dynamics – having two homes can leave a ‘little’ feeling rather unsettled and unregulated. While every parent finds their own ways to help their children with the transitions, here are the top 3 ways that I was able to assist my son through his parenting time transitions. The transient aspect of going back and forth between two homes proves challenging for most children. After all, while each parent remains in their same home environment and routine, the experience for your child is one of much change and upheaval. Between different family structures, schedules, house rules and home dynamics – having two homes can leave a ‘little’ feeling rather unsettled and unregulated. Rather than blaming yourself or your ex for the stress that your child experiences, recognize that the stress that such transience creates is a normal dynamic that occurs in co-parenting families. Your child’s world changes dramatically each time they go from one parent’s home to the other. The better you can begin to understand and empathize with what that experience is like for your child, the better you can help them through the transitions. Try to mentally put yourself in their shoes and brainstorm what aspects of living in two homes would be particularly hard for you. Adopting an empathetic perspective to this very common co-parenting struggle can prove invaluable to your child and will ultimately allow you to become a more cooperative, soothing co-parent for your child. Given the transient nature of living in two homes, establishing certain ‘constants’ that don’t change that your child can rely on is an excellent way to help combat their stress. In the midst of such frequent change, providing certain rituals that remain constant can help soothe your child through parenting time transitions. For example, try to keep the location for your exchange/transfers consistent so that the exchanges are predictable for them. You could try to always play the same favorite CD or music of theirs in your car that you can listen to together when you drive them back to your home. You could get in the habit of always taking them to one of their favorite places (such as a donut shop or bookstore) on the way home from the transfer. Once back in your home, you can establish consistency by making a ritual of playing a certain board game or sharing in on a favorite activity of theirs. If your child is young and each of their homes has distinctly different household rules, you can sit down with them to write out a list of “House Rules” that specifically pertain to behavior while they’re at your house. This is particularly of value if your child is having a hard time remembering what rules are enforced at which house. Writing down a set of “House Rules” unique to your home such as: bedtime is at 8 o’clock, screen time limits per day, homework guidelines, etc. can help your child remember the routine and rules in your home specifically. If you are able to effectively cooperate with your child’s other parent – it’s an even better solution to discuss what the expectations are in each home and do your best to try to make the rules of each home consistent in order to help minimize the confusion that differing household expectations can create. 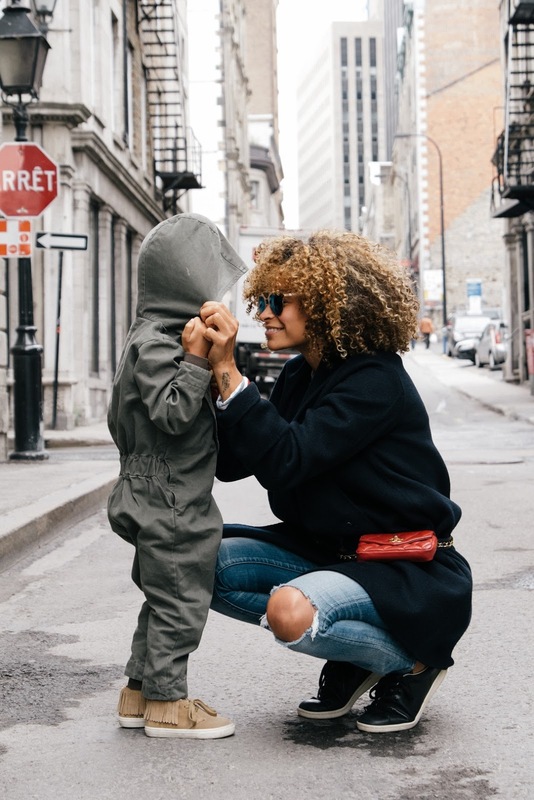 As you continue on in your co-parenting journey, you will undoubtedly find many ways that you can provide predictability to your home environment. By taking the time to cultivate and establish predictable and constant rituals in your home, you will greatly enhance your child’s sense of security and stability. By encouraging your child to practice stress-relieving activities you’ll not only help them cope with the stress of their new co-parenting dynamic – but you’ll also be teaching them that they can self-soothe - which is a life skill that they will benefit from for many years to come.